I still can't get over Hillary's lie that there was no abuse of power to Monica Lewinsky by her husband because Monica was an adult. It would be fine coming from the late Barbara Bush. Coming from Hillary who pretends she's a feminist. Who was an adult. How can she say that, as if that is relevant in any way? And whatever the reasons for Hillary Clinton's instinctive defense of her husband's behavior then, her summary dismissal of it now diminishes her claim to feminism. Would it not be possible for her to choke out something like: "We've all had some time to think about this and, yes, this was unacceptable workplace behavior. I don't think a president who was elected by the country should have resigned over it, but I also think this conduct was seriously wrong." But this is not, it never has been, in Hillary Clinton's emotional repertoire. She does not cede a millimeter; like Trump, she is allergic to apology. Like Trump, she is prone to whataboutism. No wonder her poll numbers remain so low and worse than Donald Trump's own poor numbers. She needs a crisis manager because she's a mess. Friday, October 18, 2018. More US troops ready to deploy to Iraq -- all the more reason to take part in the March on the Pentagon this weekend -- and is Iraq to be the first victim in the coming water wars? CLARKSVILLENOW reports, "The Department of the Army announced Thursday, Oct. 18 the winter 2018 rotation to Iraq of the 1st Brigade Combat Team (BCT), 101st Airborne Division (Air Assault) stationed at Fort Campbell, Kentucky." Yes, US troops are still in Iraq, 15 years after the start of the war. Yes, US troops are still being sent to Iraq. It apparently doesn't matter who is in the White House, the wars in Iraq and Afghanistan will continue forever and ever as other wars are started along the way. Bully Boy Bush, Barack Obama and now Donald Trump. The wars continue. They don't end. They just keep going on and on. -- "On & On," written by Erykah Badu and Jaborn Jamal, first appears on Erykah's BADUIZM. Ready to end the wars? It's going to take standing up. This weekend is Women's March on the Pentagon in DC with actions also springing up throughout the country. 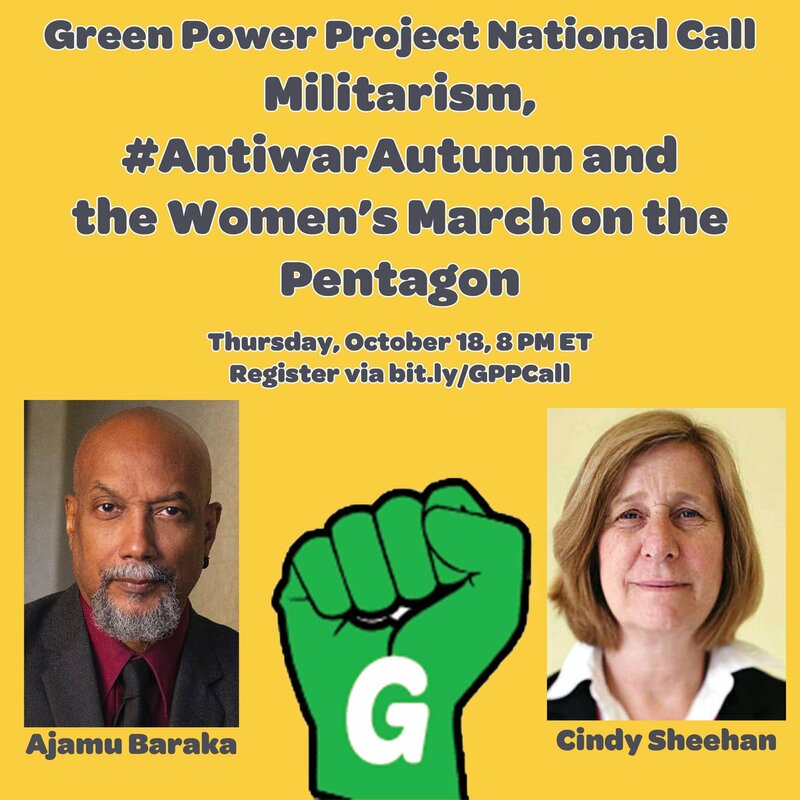 In response to the continuing march of military aggression by the USA and to put an antiwar agenda back on the table of activists, we are calling for a Women's (and allies) March on the Pentagon tentatively set for the 51st anniversary of the 1967 big antiwar event in DC and subsequent march on the Pentagon that had 50,000 people! 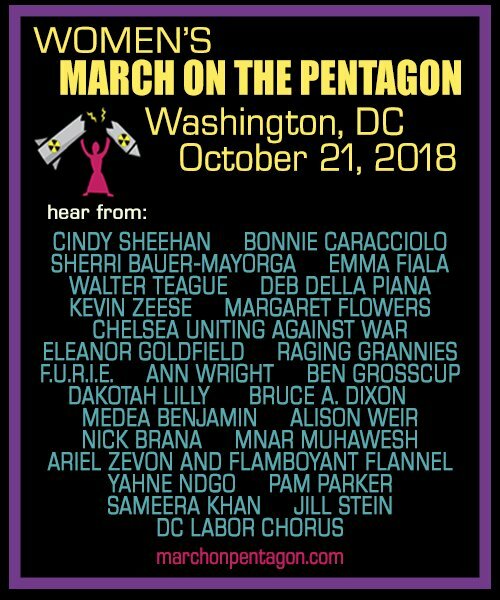 We are also inspired by the 1980 Women's March On The Pentagon. If you don't like Trump (and who doesn't), we have something for you too! Just think TRUMP'S BLOATED FINGER IS ON THE NUCLEAR BUTTON! 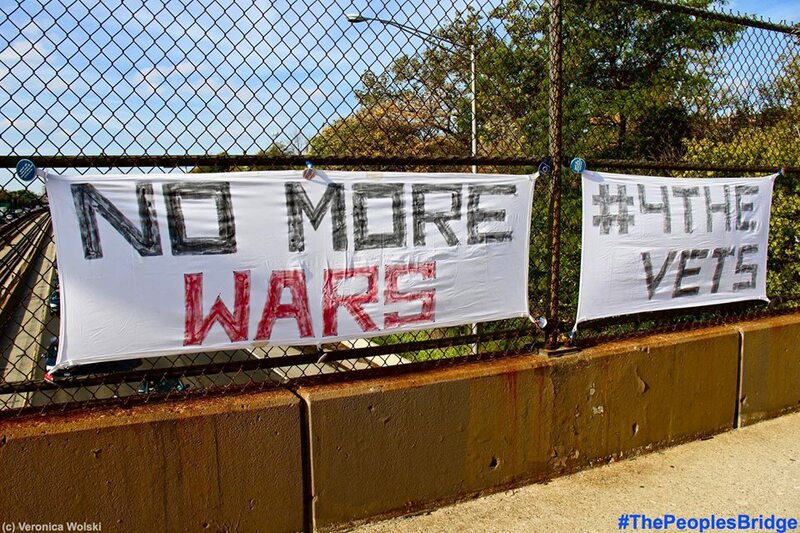 However, this is NOT, nor will it turn into a Get Out the Vote Rally for the Democrat 1/2 of the War Party. This is a principled call to action against the entire rotten Empire in solidarity with oppressed and occupied women (and their families) all over the world. This is a clearinghouse for volunteering and putting together the event---it will be updated regularly as more information is added. Hey #LongIsland! 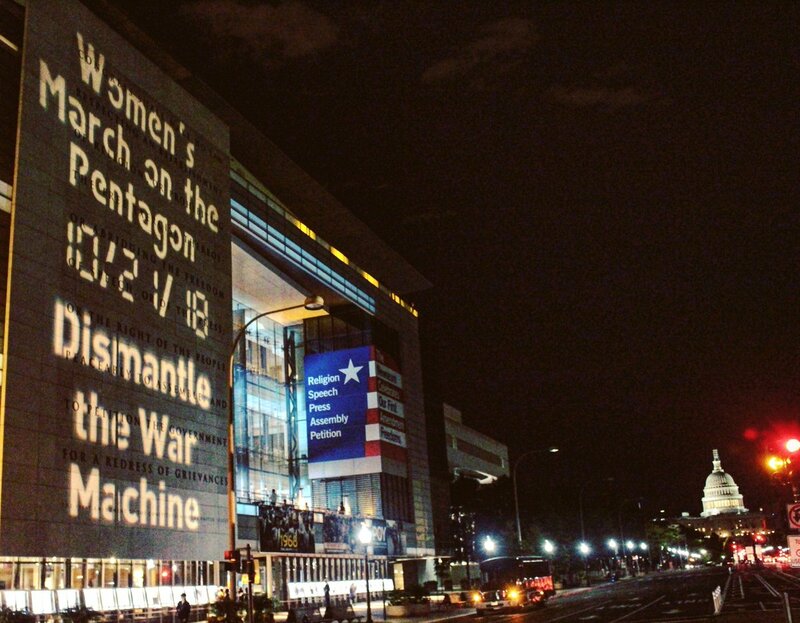 Stand in solidarity with the Women’s March on the Pentagon at your local action! The wars keep going -- on and on -- and you can make your voice heard or you can just stay silent and hope that our politicians suddenly sprout a spine. How's that hope been working out for you? At last, after months of deadlock following national elections in May, Iraq is on its way to a new government. The president, Barham Saleh, and prime minister, Adil Abdul Mahdi, are both veteran Iraqi politicians known as technocrats and reformers. The international community greeted their ascent with optimism, in the hope that these figures will drag the government out of the corruption, institutional incoherence, and alienation in which it has been mired since 2003. But the international community has repeatedly invested too much hope in the ability of one or two individuals to change an entire failing system. Today’s narrative conjures up memories of a version from 2006, when Nouri al-Maliki replaced Ibrahim al-Jaafari as prime minister, and 2014, when Haider al-Abadi replaced Maliki. Both leaders subsequently failed to tackle the vested interests and structural constraints that hinder reform. Every Sunday in Iraq, along a strip of embankment on the Tigris River reserved for followers of the obscure and ancient Mandaean faith, worshippers bathe themselves in the waters to purify their souls. “It’s very saddening. Our religious books warn us not to defile the water. There are angels watching over it,” said Sheikh Satar Jabar, head of Iraq’s Mandaean community. Iraq’s soaring water pollution is threatening the religious rites of its tight-knit Mandaean community, already devastated by 15 years of war that has also affected the country’s other minority sects. "Mandaeism follows the teachings of John the Baptist, a saint in both the Christian and Islamic traditions, and its rites revolve around water." The number of people poisoned by polluted drinking water in the Iraqi southern Basra province has reached 111,000, media reported citing a statement by UN Iraqi envoy Mehdi Tamimi. Media reported in August that 17,000 people were admitted to hospitals over illnesses contracted from polluted water. Tamimi called on the central government and local authorities to adopt a clear position on the issue, according to the Al Sumaria broadcaster. Mass protests erupted in Basra in July, and finding a solution to the water crisis was one of the demands of protesters, who also called on the government to address unemployment and the electricity shortage. Mass demonstrations that rocked the Iraqi city of Basra, which sometimes spread to other Shia-majority areas in southern Iraq, were not merely about providing jobs and basic services but were also meant to protest against the entire governing system, political activist Mustafa al-Safi told The Arab Weekly in an interview. From Basra to Najaf, and Al Diwaniya or Baghdad, people let their frustrations be known this past summer. Unlike the reform movement of 2015, it is no longer only a question of jobs and infrastructure, of corruption and the "big whales" who fatten themselves at the expense of everyday people. There is also a violent rejection of the Shia religious parties and the denominational system that has ruled the nation since 2005. Only Ayatollah Ali Al-Sistani, the highest Shia religious authority in Iraq, commands their respect for his support of reforms. "Many Shia icons, such as Ayatollah Ali Khamenei, Moqtada Al-Sadr or Ammar Al-Hakim, whom people used to venerate in Basra, are now jeered," says Taïf Khoudeir, 38, an activist blogger and petroleum engineer who has taken part in all of the city's demonstrations since 2011. Fueling this break is the heavy toll paid by the south in the war against ISIS — thousands of volunteers fought in this campaign — and the unfulfilled reform promises made after the protest movement of 2015-2016. "There is an escalation of claims," says Hossam Kaabe, a 39-year-old journalist and activist who lives in the holy Shia city of Najaf, where the uprising was violent this summer. "The demonstrators no longer accept half-measures. They want a radical change. The political parties are seen as a disease." This rejection worries the Shia political class all the more because it stems from its electoral base and confirms a disaffection that was already clear during legislative elections in May. Abstention in that vote stood at 57.5% nationwide. It was probably even higher in the Southern provinces. Since then, the winning parties have been jostling to form a government coalition government, and the demonstrators feel as if the politicians are only concerned with their own interests. Have water wars claimed their first high-profile political scalp? That is certainly one way of looking at the downfall of Haider al Abadi, prime minister of Iraq until this month. It does not fall within the usual perspectives journalists and analysts apply to Iraqi politics, which tend to concentrate on the interplay of sectarianism, ethnicity, and the competition for influence between Iran and the United States. However, consider this: despite only coming third in May’s general election, Abadi had reasonable hopes of bagging another term until residents of the southern city of Basra started turning up at hospitals, first in their hundreds, then their thousands, and then tens of thousands, poisoned by the water coming out of their taps. Embarrassingly, a visiting football team was struck down, and even, most recently, the EU ambassador. Protests turned into riots when police opened fire. Among the casualties, burned to blackened hulks, were the Iranian consulate, the governorate building, and the headquarters of most of the major political and militia factions in the city. Ten young men were killed. The final casualty was Abadi himself who, after the Grand Ayatollah Ali Sistani suggested that Iraq’s internal decay had gone on long enough and it was time for a change, fell on his sword and announced he would stand down. The protests were aimed at government incompetence and corruption, which is not only real but entirely visible in Basra, a city which sits on a sea of oil but whose suburbs are little more than slums and whose famous canals are silted up with refuse and sewage. However, the water problem is not unique to Basra’s taps. The Basra protests were a mirror of similar riots earlier in the long Gulf summer, 45 kilometers down the road in the southern Iranian cities of Abadan and Khorramshahr on the other side of the Shatt al-Arab waterway, where residents likewise woke up one day and found little more than brown sludge in their pipes. For historians and, in general, all those nostalgic about the legacy of the past in the Middle East there is something extraordinary about this, and not just because of the enormous oil wealth involved: Abadan was the Middle East’s first oil city, and is still home to Iran’s major oil refinery, while Basra’s Rumaila oil field is the third biggest in the world. No, Mesopotamia, the land between the rivers, is the home of western civilization for a reason, which is the abundance of the Tigris and the Euphrates, as they meander through the desertifying landscape to the Gulf. Environmentalists have been warning for years that this abundance was being abused, and this year they were finally proved right. Are the water wars -- that so many governments (including municipal) have been preparing for finally emerging? Years from now, will Iraq right now be seen as the start of the water wars? According to the United Nations Environment Program, Iraq is currently losing around 250 square kilometres of arable land annually – mostly in the south. Desertification is also on the rise. The causes of the rural water crisis are many, but it is largely due to the shrinking levels of the Euphrates and Tigris, pounded by climate change and international dams further upstream. The disappearing agricultural lands will, however, spark a displacement crisis far beyond what Iraq has already suffered after a three-year war against so-called Islamic State, or Isis. This, experts warn, will in turn put massive pressure on urban centres, contribute to the deterioration of the already volatile security situation, and possibly trigger fresh conflict. Iraqi environment ministry officials have told The Independent that if nothing changes and no drastic action is taken to fix the rural water crisis, millions will be on the move.